On Saturday and Sunday, March 6-7, and Saturday, April 24, 2010, we drove the length of US Route 101 in Washington State, from the Columbia River all the way around the Olympic Peninsula to Olympia, and back to the beginning again! 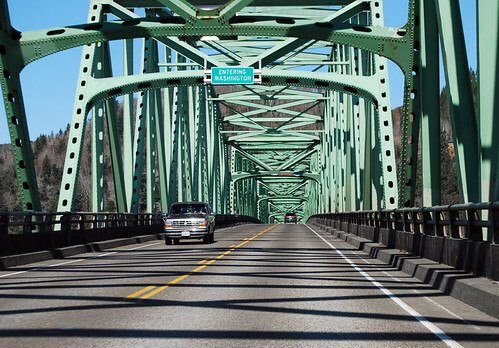 On the way across the Columbia River from Astoria, Oregon, we enter Washington. Our journey begins, and what a sunny late-winter day! 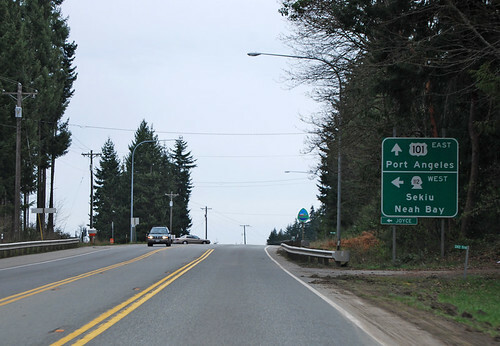 At the north end of the Astoria-Megler Bridge, US 101 has its first junction, which is with SR 401. 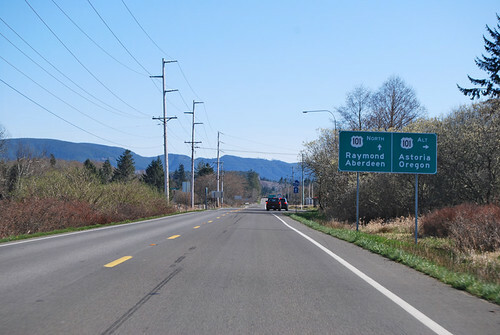 Note that the sign for SR 401 mentions Raymond -- which is on 101. 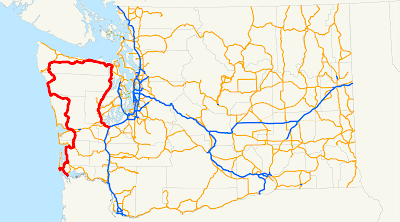 Why would the main route north to Raymond not be on US 101? Oh, I guess I shouldn't bother asking that question. This highway loops twelve ways to Sunday. It loops fractally. US 101 turns west and heads down the Columbia, which is a wide bay at this point, almost to the open ocean. The road is separated from the water by only a narrow rock dike, so you get plenty of views. 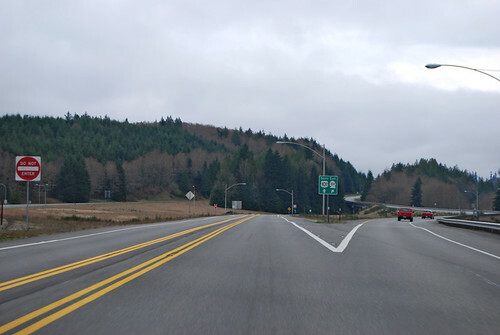 After the town of Chinook, we arrive at US 101's first junction with US 101 Alternate, which we once again are informed that if we're serious about heading north, we should turn off US 101. At least this time, it's on to a subset of itself. Over a little hill and we're in Ilwaco. My, this looks familiar. It's the junction with SR 100. 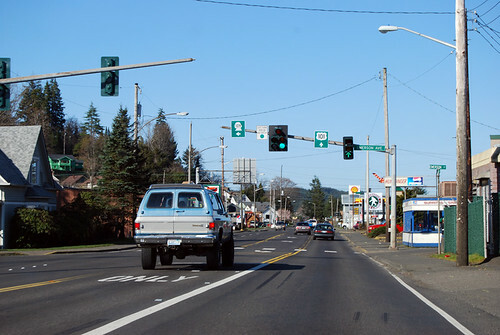 US 101 turns north, proceeds a few miles, and intersects SR 103, which proceeds straight north at this junction, heading through Long Beach and up the North Beach Peninsula. To stay on 101, you must turn right and head west. 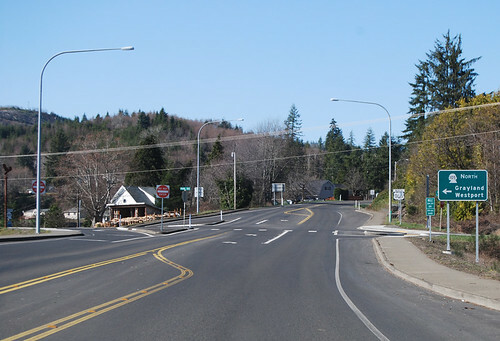 Shortly thereafter, US 101 intersect US 101 Alternate again. Seven miles on the main route, one mile on the alternate route. ... I guess Ilwaco and Long Beach had good lobbying efforts when 101's route was chosen. 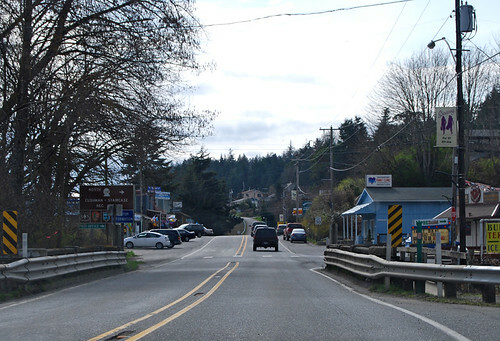 After hugging the shoreline of Willapa Bay, past mudflats and wildlife areas, and crossing the wide but short Naselle River, US 101 has a junction with SR 4, where we last visited almost two years ago. Not much has changed around these parts. Take a left to stay on 101, by the way. 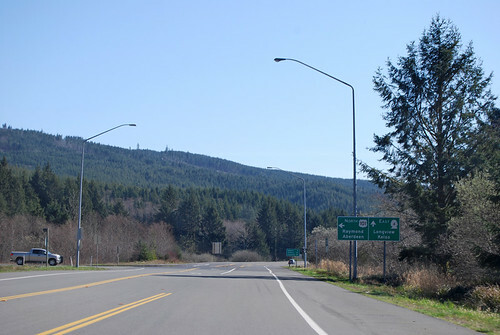 US 101 rejoins Willapa Bay, crossing three Naselle Rivers and a Palix, among others. Lots of farms, forests, and views of deeply carved mud in the bay. 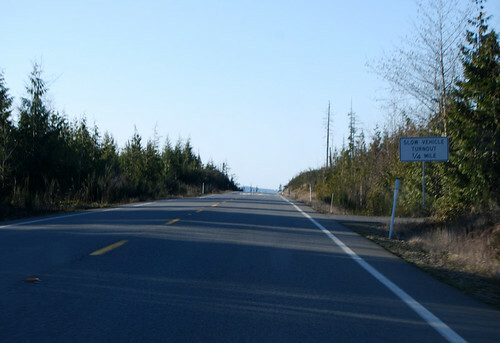 US 101 briefly turns southeast before South Bend, where it bends further north. 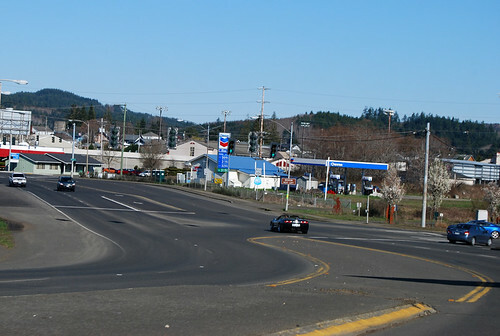 And then, at the south end of Raymond, US 101 intersects SR 6. 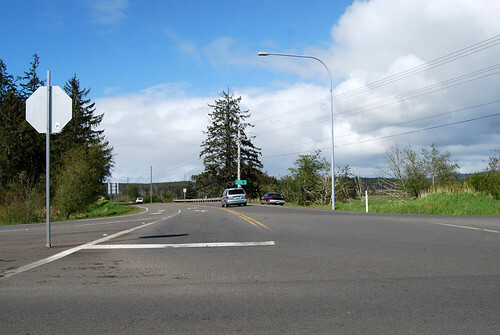 At the north end of town, we reach the southern junction with SR 105. Based upon 101's route south of here, I'm rather surprised that 105's coast-hugging route isn't actually 101 -- and the shortcut straight northward is 105. But for once, the quick route is 101. 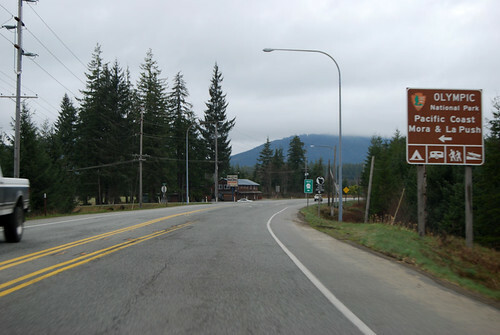 After winding through the hills and forests (nicely signed with the various dates of harvests and replantings), US 101 passes through the town of Artic [sic] and intersects SR 107. SR 107 is the route home, as far as I'm concerned, so the stretch forward from here was new to me. 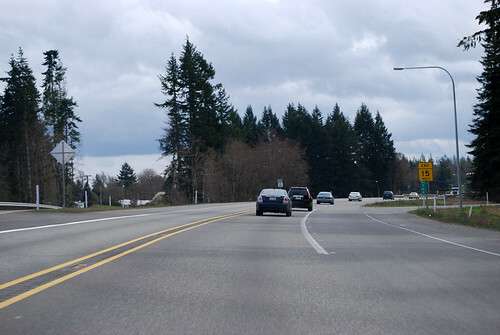 In the southern third of Aberdeen, US 101 is rejoined by SR 105. We're facing southwest at the moment. . .
101 hangs a right, flies over the Chehalis River, and arrives at the junction with US 12. Thanks to the one-way streets, you take a right here to get on 12, but must wait a block before turning left to stay on 101. 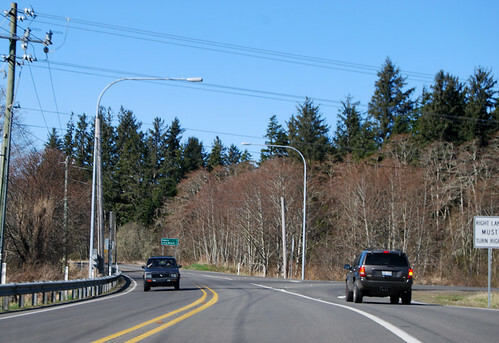 East and westbound US 101 cross the Hoquiam River on separate bridges almost a half mile apart, but rejoin each other quickly to be together at the junction with SR 109. Ocean Shores, anyone? 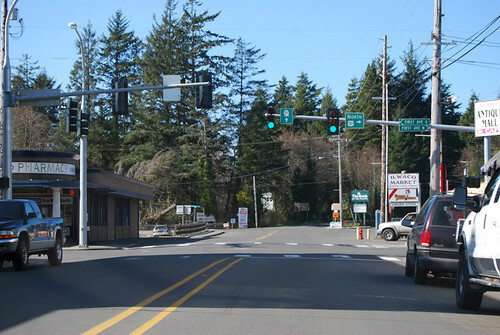 At the north end of town, it's SR 109 Spur, another chance to head for Ocean Shores. Up the Hoquiam River, past Humptulips and various signs pointing toward "ocean beaches," into Olympic National Forest then Quinault Indian Reservation, past Quinault Lake, west toward the coast again, and it's been almost an hour and we haven't had a junction yet. Thus here's a photo at the halfway point between 109 Spur and SR 110, a few miles east of Queets. Just across the Queets River, we spy the Pacific Ocean through the trees. Beach after beach after beach, with a lovely lodge at Kalaloch that has great views of the sunset. The next day, after you awake, a thick mist has blanketed the forest, and yet no rain. Miles up the coast, US 101 turns inland along the Hoh River, then down the Bogachiel River to Forks and the junction with SR 110. North through the forests, we're the furthest from the sea of the whole US 101 route -- at least north of the California redwoods, that is -- till we turn east at Lake Pleasant and arrive at SR 113. 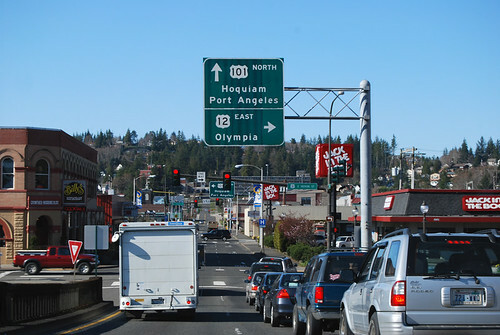 Shortly thereafter, the "North 101" signs are replaced by "East 101." Past large, deep, and scenic Lake Cresent, past scenic and smaller Lake Sutherland (separated from Lake Crescent by a landslide brought forth by the Storm King God), and across the Elwha River to SR 112. A few miles later, we're on the outskirts of Port Angeles. 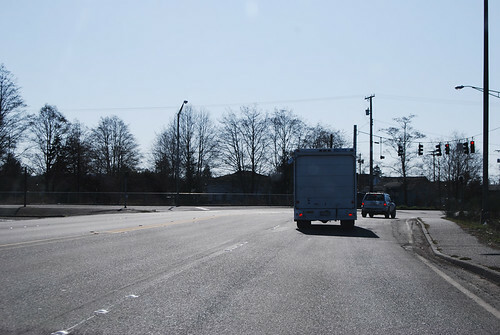 A big sign points for US 101 Truck Route; a little sign points for SR 117. 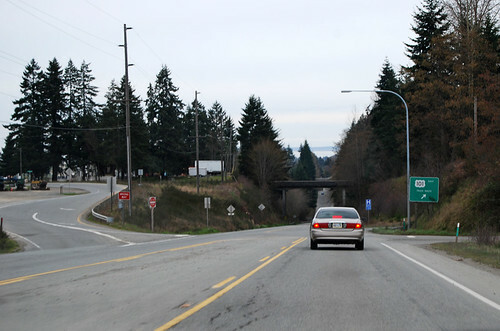 They're one and the same, SR 117 heading for the port of Port Angeles. US 101 turns northeast a few blocks later. Two blocks from the harbor, US 101 reaches its northermost point, but we still have over a hundred miles of highway left to drive. 101 takes a right turn and heads a bit south of east. 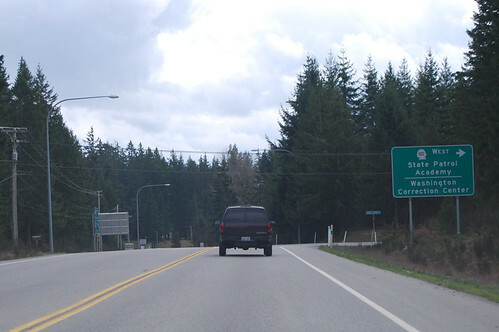 Many miles later, past dry Sequim and Sequim Bay, around the Miller Peninsula and south along Discovery Bay, the signs still say "East 101." Oh look, it's SR 20. Would you like to go to Port Townsend, Whidbey Island, or the North Casacades? Oh wait. Those mountain passes are still closed. 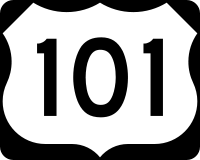 Three miles south, US 101 intersects SR 104 and the signs finally say "South 101." Wait a minute. Wasn't I going north? Oh well. 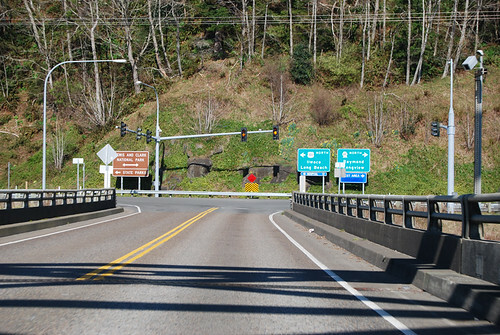 Did you want to cross the Hood Canal Bridge? You should turn on 104. Many miles roll by. We traverse forests and small towns. We oft view Hood Canal, which is not a canal, nor does it function as one. It's just a really long inlet with no real good harbor at the back end. Quite scenic and sunny, though. 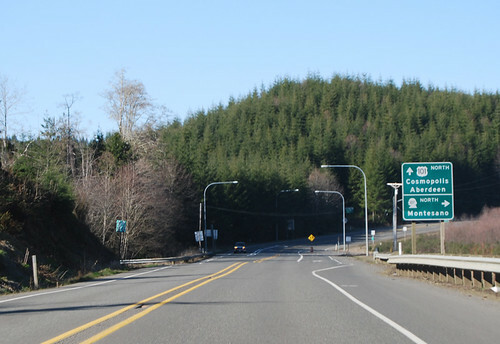 So when we get to the town of Hoodsport and see the junction with SR 119, we're sad because our trip along Hood Canal is almost at an end. 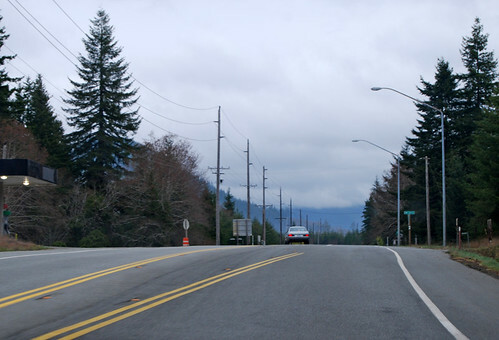 And there, after the large mudflats that mark the southern bend of Hood Canal, US 101 intersects SR 106, which will take you Kitsap-ward. SR 102, shortly thereafter, won't take you far. I can't wait to come back soon and see the Washington Corrections Center! 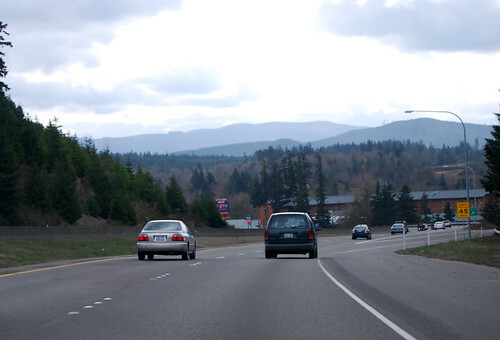 Near Shelton, US 101 speeds up into a two-lane, undivided freeway. 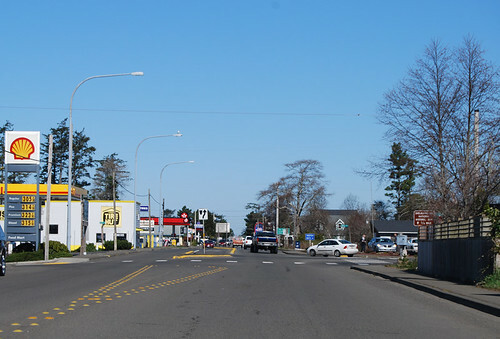 At the far end of the bypass around town, US 101 intersects SR 3, which actually goes north into town on the old Olympic Highway, from before the bypass was built. 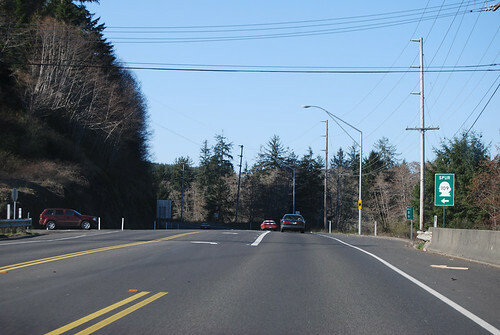 A few miles later, US 101 hits SR 108. If you take that highway, it'll lead you to SR 8 and US 12 and places like Aberdeen and Raymond and Long Beach which we've seen before on this trip. Speaking of SR 8, here it is! You can't get on it from this direction, though, unless you get off at the next exit a mile south and double back. When viewing this interchange from above, you'd think that SR 8 and the southern portion of US 101 were the same highway and the northern portion of 101 (from which the photo is taken) is the secondary route. 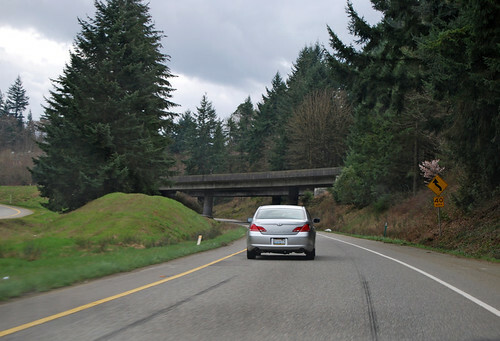 But I guess that's no less strange than what US 101 does back around Ilwaco and Long Beach, so why complain? 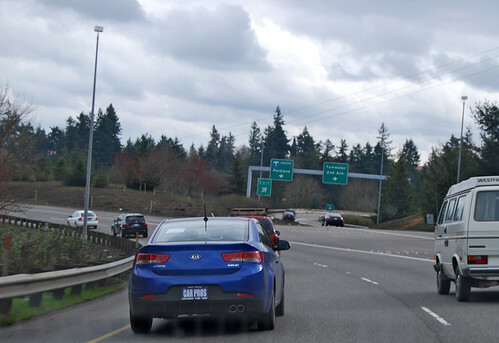 Past The Evergreen State College and West Olympia, signs for US 101 disappear, to be replaced by repetitious signs for I-5, north and south. 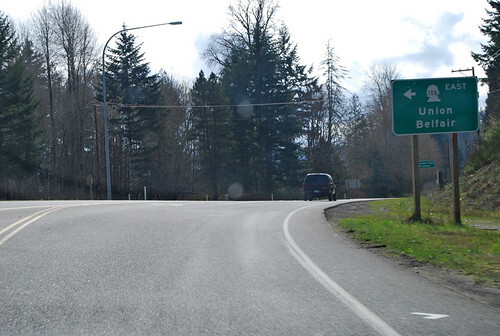 Chunlin was disappointed with how anticlimactic US 101 ended, with nary an "End" sign to be found. But the fun's not over! 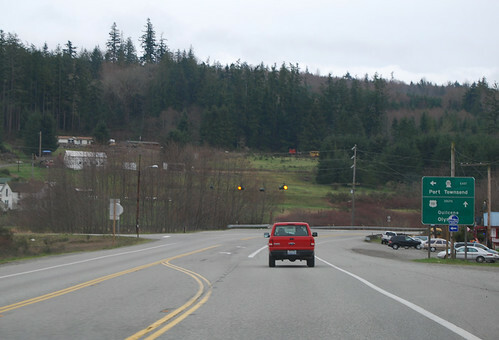 It's time to go back and drive US 101 Alternate, which is part of State Route 101 per the code. So here we are (a month and a half later) a few miles east of Ilwaco, at the start of US 101 Alternate: its southern junction with US 101 proper. A nice sunny day. . . at least right here and now. 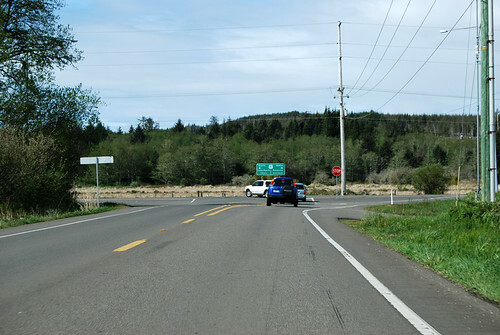 A mile later, US 101 Alternate reaches its end, at another junction with US 101. Left ("south") on US 101 will take you west to Long Beach. A right turn will take you to the rest of the world. Which way do you think we went? And that is the end of Washington State Route 101! Fabulous! Contemplating buying in the immediate area. This is a godsend.